If you’ve been blessed to have children and were present at the birth, you probably remember that birthing moment with awe. I recall the grand mixture of emotions: joy, fear, love, disgust and probably a couple others. I was solidly in the game, though not at all sure how to play. I was terrified I’d screw the whole thing up. Time passed, I made lots of mistakes though generally I did OK as a husband and parent. 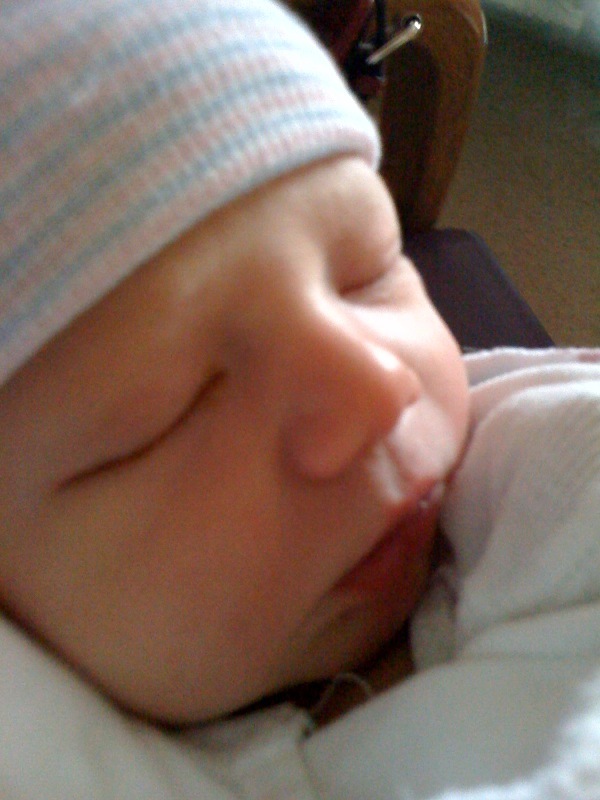 This week our daughter Anna gave birth to our first born grandchild. They named him Levin. Our son-in-law brought his 8 year old son Clay (whom I love dearly) into the marriage, so I have some experience with being Poppy. I’m fascinated, though, how different the birth experience is for a grandparent than a parent. My best analogy relates to wrestling. When I was preparing to go out for a match, I had some of the most intense feelings of my life…a combination of excitement and dread. When I watched my son go out for a match, on the other hand, my emotions were so much calmer, everything seemed more in perspective. The photo below shows our other daughter, son and me hanging out in the waiting room. We were relaxed, and no, I wasn’t picking my nose, though I can’t vouch similarly for Tessa. We had a relaxed day, hearing the updates about the progression of labor. I can’t resist throwing in a photo of Anna in the early stages of labor, as she looked so beautiful and radiant. 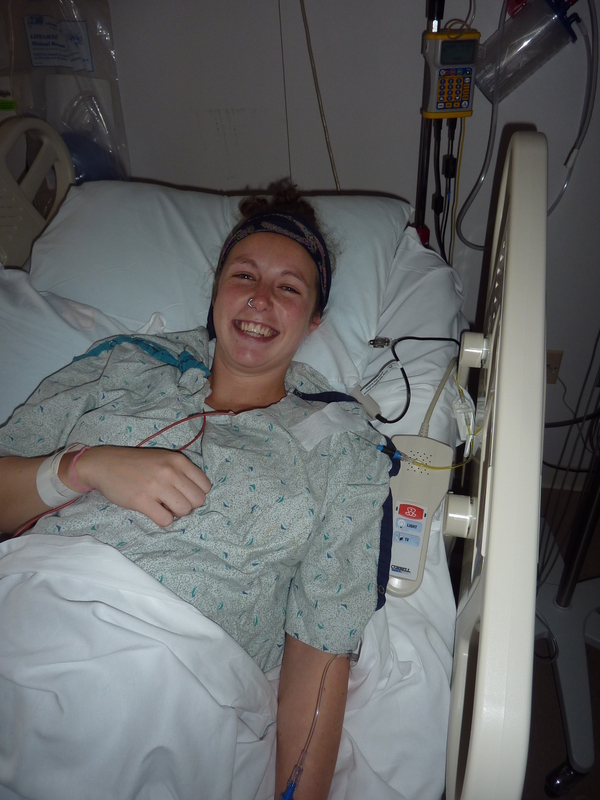 She went through the labor and delivery process mostly keeping that smile. She’s an athlete with a great positive attitude and was sure she’d be fine with this birthing thing. She once ran a marathon without any preparation and that’s mostly the way she approached having Levin. It seems to work for her. So Anna, Chris, Clay and Levin will be in the muddle of that living and learning. In a way, I’m on the other side of it. I still have a full and joyful life, yet age seems to level the peaks and valleys a bit. Nothing seems quite as scary as it once did. No matter what happens, life continues and we get through…until we don’t. And it’s all good. Especially holding a little newborn and realizing that this amazing cycle starts anew. A buddy of mine since 7th grade heard about Levin and advised me to take some time to reflect, to think about the things that count in the long run. I hope you don’t mind that I’ve taken his advice here and decided to share with you. I wish each and every one of you all the very best. And thanks for sharing such wonderful news! Congratulations Ned!! I myself look forward to the day of being a grandparent. Not because of the aging process, but I love babies and that I will be able to give them back when they fill their diaper or start to cry! !